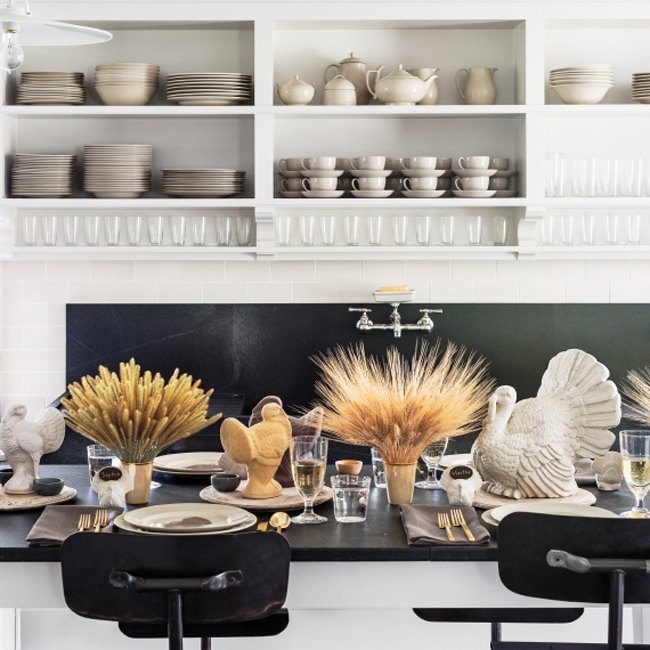 One of my favourite articles from any recent volume of Martha Stewart Living magazine is one Martha wrote in the November, 2013, issue about the table decorations she made using PermaStone, a lightweight but durable cement. 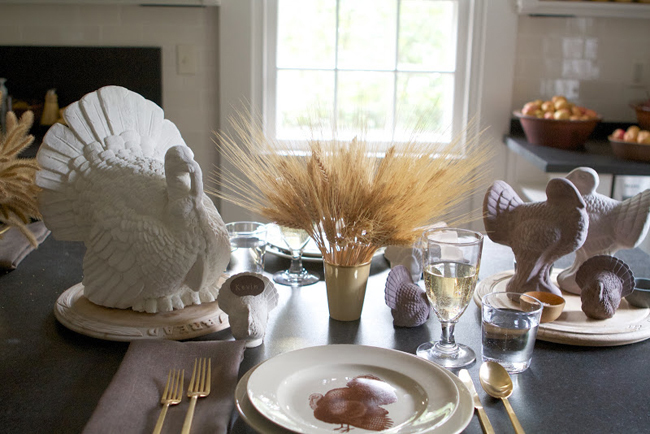 Their effect on a table setting she designed for a small gathering with her family was casual but elegant, rustic but modern and the look imparted a sense of whimsy that her grandchildren would still appreciate. 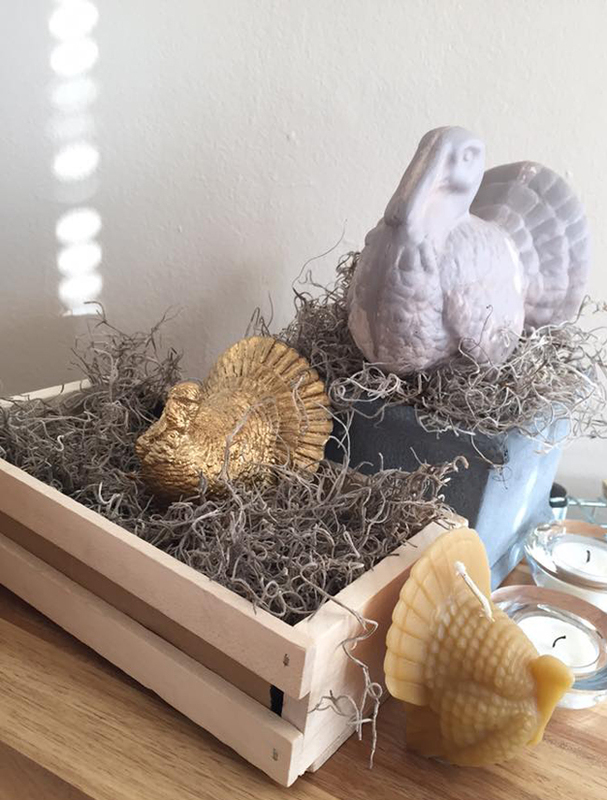 See below for some inspirational photos from the craft project and the final look of the table - as well as an example made by Martha Moments reader Paul S. Neumann, which turned out beautifully! Click here to read Martha's full article and get the instructions for the project. The project can be a little bit messy, so Martha chose to work outdoors in her car port. 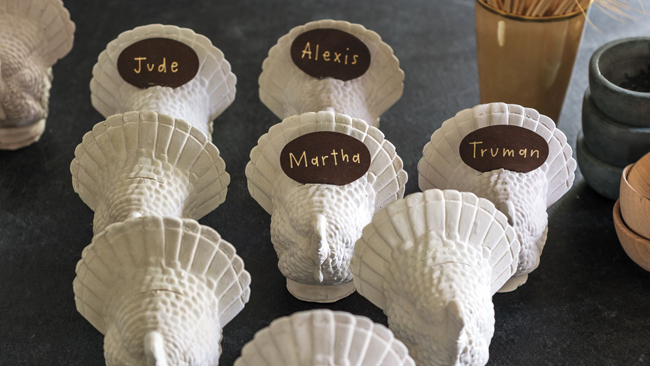 Small place cards were created using the candle molds. Dark brown paper was cut into ovals and the names of the diners were written in gold pen. The paper was inserted into thin slits made in the turkey with a small, serrated hobby saw after the turkeys had dried. The table setting, when completed, looked beautiful. Martha chose the Tenant House at her Bedford property to host this particular Thanksgiving meal with her daughter and grandchildren. The palette was kept simple and neutral with beautiful arrangements of foxtail, Timothy grass and wheat set inside enamel cups. 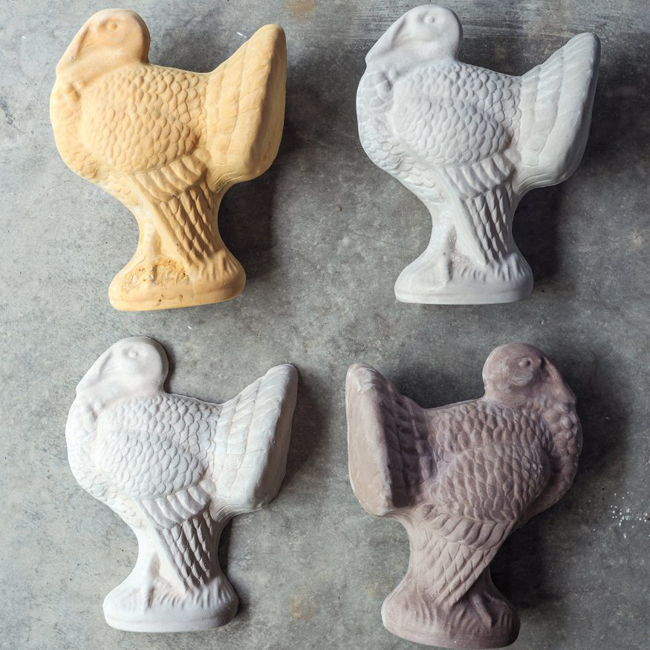 Martha placed the turkey molds in small groupings set atop round bread boards. I love how the table looks! Martha Moments reader Paul Neumann did the project this year. Here is one example he submitted. 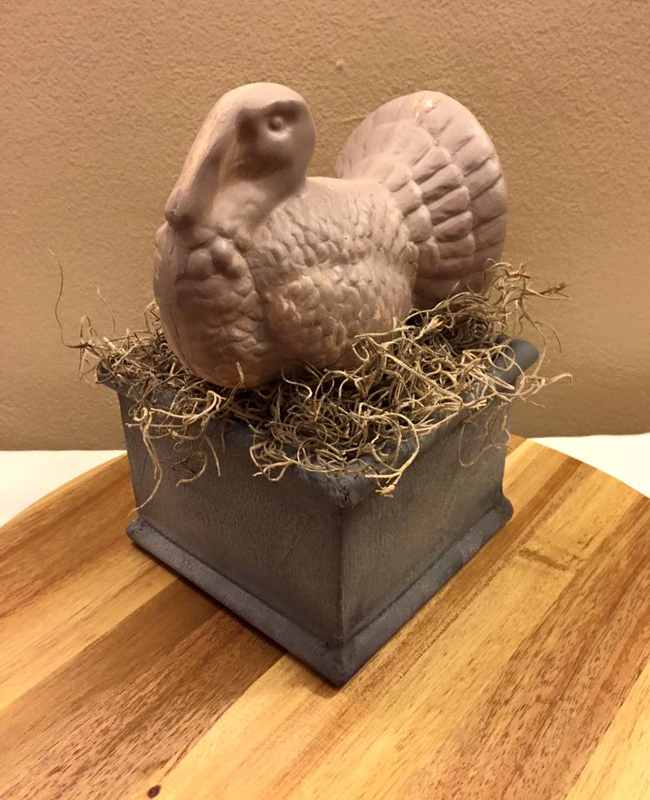 He placed it in a nest of Spanish moss inside a small cement planter, which looks lovely. "A little investment in time," he says, "but fun all the way through! It's also sitting on a Martha Stewart bread board."